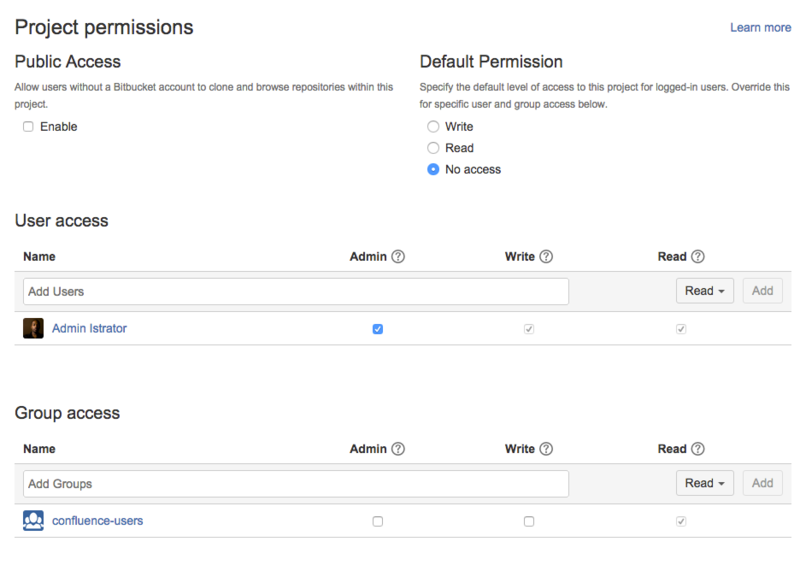 Bitbucket Server allows you to manage the permissions for the repositories in a project in an aggregated way. There are 3 levels of project permission that you can assign to a user or group for a project: Admin, Write and Read. To modify permissions for a project, go to Settings > Permissions for the project. Click in the Add Users or Add Groups fields in the relevant section to search for, and bulk add, users or groups. Now choose a permission from the drop-down list, and click Add.